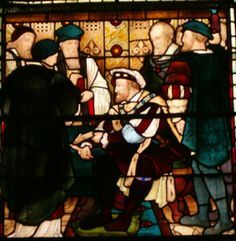 When on a recent visit to Chester, I was pretty dismayed when I toured its Cathedral to see nearly an entire window dedicated to Henry VIII with his court of advisers giving the thumbs up as he embarks on the dissolution of the monasteries and the enforcement of the Act of Supremacy. Did he send them out as Tudor 'Missionaries of Mercy'? I guess those were different times and different ways were employed. I hope I am completely wrong and the two years of 'hypersensitivity training' I have undergone has been for nothing. We should all welcome a year of Mercy. Let's go with that. Who could oppose mercy? Think of all the initiatives in parishes and Dioceses that could come from a grassroots renewal of devotion, promotion of the Sacraments and the works of mercy. A top-down, one size fits all model of mercy would be, I think, a little outside of what Vatican II expressed as desirable. Subsidiarity is surely the key, so that the local Church, while always remaining in Communion with the Pope and Bishops is able to promote mercy according to the particular needs of that area, without rupturing the fragile unity and Catholicity of the Church by abandoning the necessary link between doctrine and pastoral practice and thereby making visible a breach in the hull of the Church. I do rather have deep-seated fears of the newly appointed 'missionaries of mercy' that Pope Francis wishes to send to be welcomed by Dioceses around the globe. 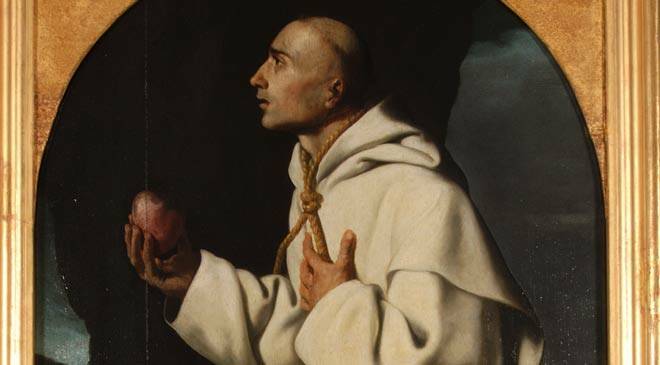 I hope they are not Volpi-clones, sent to dispense 'mercy' as endured from a certain Vatican-sent Commissioner, chosen, as he was, to flood with his own unique brand of tenderness and compassion, the Franciscans of the Immaculate. Time will tell. Prayers could make all the difference. I have several Protestant friends and have been discussing with them the Kasper proposal and the upcoming Synod. It is amazing how little Protestants seem to understand of what is going on within the Catholic Church. All the news (but not gossip, of course) on the Synod was news to them. Two of them expressed astonishment that the Catholic Church could even countenance the Kasper proposal, knowing what the Church believes about the Holy Eucharist and what it has consistently taught regarding marriage, the natural law and divine law. One friend said, "If the Catholic Church did that, that would be huge...that would mean it no longer believed in marriage as a permanent union." So basically, even Protestants with little contact with the Catholic Church think the Catholic Church is in auto-destruct mode, with massive ramifications for the world. I had emphasised, as a Catholic, what it could do to the fabric of the Church. I found it intensely interesting that the Protestant replied, "Nevermind the Church...what about society!? That would mean the Church sanctioning the breakdown of the family and marital break-up." Yes, indeed. Of course, that is exactly what it would mean, as Voice of the Family have made known and shouted from the rooftops. If the Church is to become no longer a moral voice in society for the family and marriage, it is hard to see how the Church could remain a moral voice at all. Why believe anything She says? Most of my Protestant friends are evangelicals, which, ironically, is an 'ecclesial community' that Pope Francis has gone some way in 'reaching out' towards. We are all, as Catholics, called to be missionaries of mercy, to extend mercy towards others. We are also called to proclaim the truth in season and out of season and there is no contradiction between these two. I'm not sure to which period of the Church's history Pope Francis is pointing when he talks about a time when we could or should have been more merciful and why it is he feels that the Church can go beyond its previous 'limits' of mercy. I'm confused as to what this might mean. There are no limits to God's mercy, because God's mercy is inexhaustible and infinite. There are, however, limits to which we creatures will feel bound by, say, if we do not desire to change, or do not desire Salvation. The Church has never really said anything different to that. How much 'further' can Francis go without turning mercy into liberalism and sanctioning of sin? The limits on God's mercy - if we dare say that - are limits we place there ourselves for our own feelings of comfort, protection and security. We would rather refuse the Cross. We fear going 'out to the peripheries' - that is - outside of the comfort zone of our own moral laxity and self-love. There is no sin that the Church does not desire to forgive in the name of Jesus Christ. There are, however, sins - 'reserved sins' if you please - that we do not want forgiveness for because we know that might take us out of our comfort zone and leave us completely dependent on God and His mercy and His grace. The reality is that it is we as individuals who fear change, or avoid true repentance. The Church, as ever, holds up to us an Ideal of human life, or, rather a Person - Jesus Christ, the way, the truth and the life. We avoid His way, we often shun His Truth and we miss out on Life in all its fullness, the eternal life that He wishes to give to our souls. Let's be frank. That's the real reason the Reformation happened in England. That's the real reason we do not follow Christ perfectly as we should. I hope the missionaries of mercy will be in the service of Jesus Christ as He revealed Himself, imparting the mercy of God to the repentant and preaching the mercy of God to all who will hear for a false mercy will only bear witness to a false Christ. I hope that they do act in such a way which will cause scandal, as has been seen with the Franciscans of the Immaculate, or damage or impair that fragile communion that exists within the Body of Christ. Finally, I don't, but others do, have first hand remembrance of the 'wreckovation' period during the 1970s in the Church, when Sanctuaries were destroyed in order to make way for a new liturgical revolution that re-orientated the parish churches. Many have taken time, raised and spent money to restore Churches to at least a reflection of their former glory. We all know of cases where priests have, courageously, restored both the Sanctuary and the liturgy of the Church to make it more fitting for the worship of God. Pray for them, that the hard work they have put in to give God glory, is not reduced to rubble by any 'missionaries' who think, like the knights that skewered the head of St Thomas Beckett, that what they do, they do in the service of the monarch. I suppose what many clergy and some Bishops may be disconcerted about when it comes to papal 'missionaries of mercy' is not the promotion of mercy 'at a local level', but perhaps the very anti-thesis of the Benedictine vision of the Church renewing Herself from the bottom up - the most ambitious exercise in micromanagement ever undertaken by the Catholic Church in Her entire history. It would be a humble one, though...naturally. Evangelii Gaudium showed us the what without explaining too much the why. It looks like Misericordiae Vultus (or is it Vulpus?) is showing us the how. Let's hope that how is the very epitome of Christian mercy and love. The martyrs of the Reformation in England and Wales exemplify the truth that, at the end of the day, the Christian is the one who accepts following, in life and in death, the One Who was nailed to the Wood of the Cross, Who hung there to bleed to death to the delight and the derision of the crowd, with only a few people there to offer some kind of human consolation. These martyrs also understood that anyone who stood underneath that Cross shared in the pain and humiliation of the One they loved. Are we followers of Jesus Christ or followers of the World? Do we want to follow Him? Do we want to imitate Him? Do we want to imitate them? Pray. Pray. Pray for the Pope, for Cardinals, Bishops, priests and the Church throughout the world. Whatever Missionaries of Mercy turn out to be one thing is clear. Mercy cannot be separated from Truth. Yes sins can be forgiven by these “Missionaries”, whoever they are, but who are I trust are priests???? But only if there is a firm purpose of amendment not to commit that sin again! Simple! And that cannot be changed. To do so would be leading those people into further sin - a denial of Truth. This whole problem has been created and exploited for that matter, by those who would deny Truth. Would deny the Sacrament of Confession and the Real Presence. Those in marital, sexual, or any other difficulty putting them in an objective state of mortal sin and therefore not in a state of grace should be welcomed into the Catholic community, attend devotions and Mass, but not, repeat not, receive Holy Communion unless they have Confessed and made a firm purpose of amendment not to commit that sin again. It is not all that difficult to understand really. Those who make an issue of it have other objectives. I don't think Pope Francis is confusing. It's long been clear what his views are. He is a modernist, liberal, progressive, relativist, materialist, Marxist, who acts and speaks consistently against the Faith and the Natural Law, and those who uphold same. Lord, have mercy. Blessed Michael, the Archangel, defend us in battle . . . The "Barefoot Doctors of Theology" perhaps? I do remember Mao. Pray for Francis...urgently and fervently. I am one of those people from the old days, trying to hold together a bit of the Faith during the 70s when I was in my teens. I thank my dear parents (may they RIP) for working to keep the Faith through those years and handing it on to me and a couple of other siblings who held on. I am grateful for writers such as yourself. We need men of strong faith, and there are so few! But I pray that the intensity makes up for the scarcity. I am grateful for your efforts, and you are in my prayers! The 'anti-thesis' is more starkly pointed at in the contradictions between the Faith that preceded John XXIII and the faith that followed this man who invited communists and schismatics et al., onto the Rock (or at least what he thought he owned of it) with their hydraulic mills. Re: John XXIII - isn't it curious that he took the next number of one of the Avignon popes? Perhaps, in the end, he really was a joker - a good sort, by George - doesn't take anything too seriously, least of all the Faith. The Church. What is it? Is it 60 years old? My protestant friends were all perked up when Bergoglio stepped out on the balcony and refused to bless anyone - they notice the Church when it suits. Not because of an interest in THE CHURCH, but because they felt vindicated that 'Peter' had finally bowed to the 'factionalists' and 'schismatics' which meant, ultimately, people like Henry and Luther and Wycliffe and themselves, know and promulgate God better than the wrongly given 'Bride of Christ'. How should a Catholic reply? Factionalists seems to love the authority to quote VII, and are proud of the destruction/re-invention of the Catholic parish. Should one say, well, go back to JPII, just try not to notice his 'inter-faith' scandals and please don't try to make Godly sense of the 'Theology of the Body'? or a his encyclicals that contradict the Faith (and he is considered conservative). Perhaps one could say, 'the Church is under attack like never before because satan can use protestantism and liberal 'catholicism' and the political force of non-Christian 'faiths' and post-Christian society in an unparralleled un-Godly-way, to gain kudos. Who on earth would be believed? I wonder is Francis has read the 25-line text of the Third Secret of Fatima, the one whose existance is asserted by Socci, Christopher Ferrara, and others and which was so assiduously denied by Cardinal Bertone? Both Pope Paul VI and Pope St. John Paul II apparently read it within days of being elected. Cardinal Ratzinger publicly admitted he had read it. I wonder about Francis and his frenzied behaviour and his penchant to refer to Msgr. Robert Hugh Benson's novel "Lord of the World." There is something about Francis' behaviours and Benson's plot that seems a shadow of the characters and events therein. This Missionaries of Mercy business strikes me as a desperate act in anticipation of a shattered Church. You mentioned I your treatise on mercy, Lawrence, that you are surprised at how little Protestants know about what is going on in the Church. I am surprised at how many Catholics there are who are unaware of what is happening in the Church, right before their eyes. The present destruction of the Holy Roman Catholic Church begins at the top and this ugly fact has to be faced. Let me tell you what the 'missionaries of mercy' will be all about: the sins these missionaries will forgive--and allow to happen--will be the Holy Communions of those living in adultery, of those in homosexual 'marriages', and the permitting of any other prohibition that will be voted down at the upcoming 'synod'. Francis is planning for the real possibility that orthodox prelates will override the evil machinations planned in October, and he is planning his strategies accordingly. What is unfolding in Rome is so malevolent, but almost so imperceptible that ordinary Catholics cannot wrap their minds around what is happening right before their eyes. 'Pope Francis' to one more Catholic and see that blank, dopey glaze in their eyes, I'll vomit. It is painful to watch. Prayer is the only answer because this mess is going to play itself out, that is for sure.